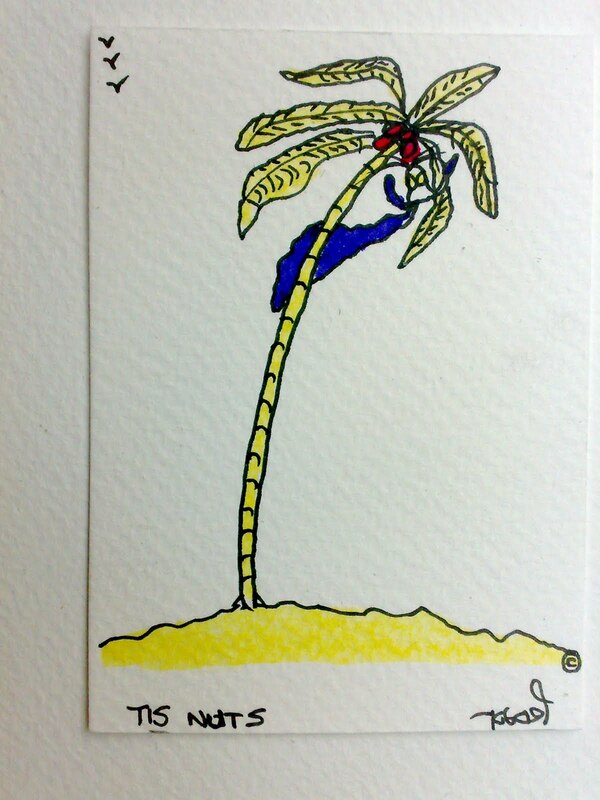 Tis is marooned on a tiny desert island. He climbs the palm tree to lay his mitts on the coconuts. "Hang on tight Tis, you do not want to come crashing down". How will he get at all that lovely water?